Use these three spinners (B&W or colour) as a tool to introduce students to the concept of probability. There is also a sheet students can use to reflect on their findings! If you liked this Freebie! 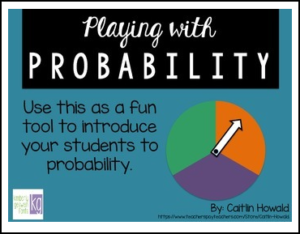 Check out my other graphing and probability products!